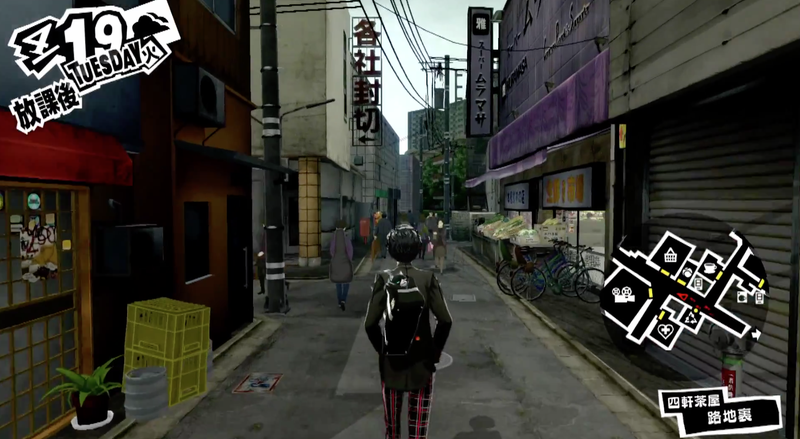 Persona 5 takes place in a fictionalized version of a real Tokyo location. Atlus is now asking fans to stop bothering the folks who live there. As Kotaku previously reported, the inspiration for in-game location Yongenjaya is Tokyo’s Sangenjaya. Many of its real-world spots were reborn in the game, including as P5's coin laundry, batting cage, and cafe. On Persona 5's official site, Atlus stated that some fans who have been visiting the neighborhood have been causing problems for locals. Atlus specifically points to “actions that violate society’s manners,” such as leaving trash, damaging property, and trespassing for the sake of taking photos. That last one might refer to cosplayers visiting the area. Atlus asks fans for their cooperation in toning down their actions and not disturbing residents.